The “virtual internship” this past year allowed me to see digital humanities at work outside of the “virtual classroom.” I was able to participate in three distinctly different platforms where DH is applied. During the first internship at the Smithsonian Learning Lab, I learned about the the impact of digitization and the change it has unleashed in education. Teachers and students have free access to the abundant collection of the Smithsonian Institutes. These digital resources from the Smithsonian’s 19 museums, 9 major research centers, and the National Zoo can be used for teaching and learning at the click of a mouse. Although finding resources online is not a new phenomenon, having the museums available on the computer screen along with already developed lessons, collections, and ideas for learning is a continuously growing and challenging opportunity for many to explore. Through reviewing and filtering the newly created collections on the site, I could follow in real time the developing ideas/lessons and ponder the purpose behind them. While the work itself was terribly challenging, it did stop me in my tracks since I had to consider the use of each collection created and keep in mind the public audience and copyright issues. Having had a reasonably easy start, Stanford University’s Literary Lab presented some confusing challenges. 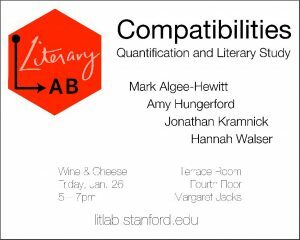 After I attended one of the DH symposiums at Stanford University, I was intrigued to learn more about what they actually do in the Literary Lab. One of the presentations discussed a project called Emotions of London and I had a chance to talk to one of the professors who lead the project. My initial goal was to learn more about the strategies and DH tools used to examine literature. Previously, during the GMU DH courses I developed a public DH site designed to use crowdsourcing to further the content and collect the history of a place, and Emotions of London does exactly that, but with literature. While I was welcomed in every project meeting, I could not fully take part in these projects as an outsider, so my learning curve stayed flat. Nevertheless, I learned about the workings of higher academic projects in DH. These projects serve a small circle of the public by being published in journals and presented at conferences. The tools implemented were beyond the ones we learned about in the DH courses, and it was challenging to understand their function. In addition, the Stanford team did not treat me as an intern, I was to jump in the project or simple take notes. Without previous training or support or knowledge of the available ongoing literary projects, it became impossible to actually participate or advance my learning. At the end it seemed more reasonable to abandon this hopeful opportunity. 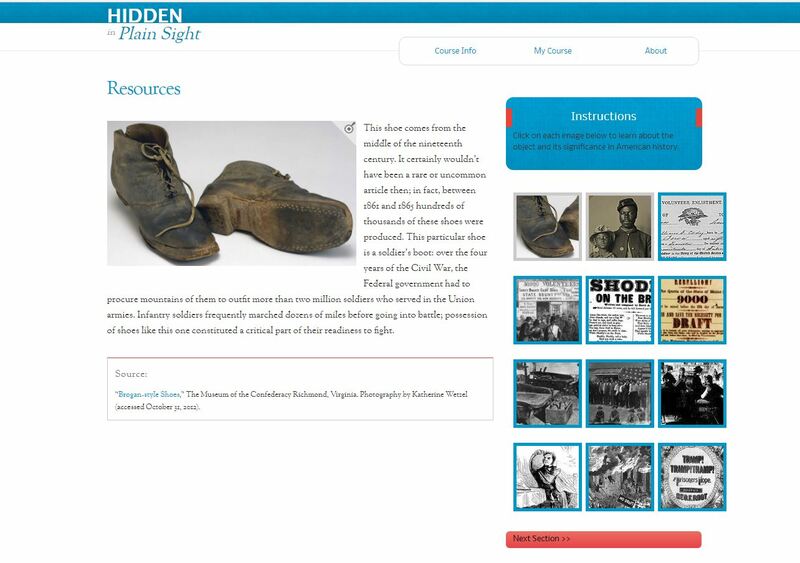 As the internship wraps up, I am fully engaged in a history project that allows me to create a module as part of the course for Hidden in Plain Sight . In this endeavor, I am able to incorporate literary connections with the history being presented through primary sources. The module traces the history of the Great Migration, paralleling the history and importance of yam, and presents how they echo in literature. This project combines the challenges of research, creativity, writing, and education. It is rewarding in a sense that it does give freedom in choosing the topic of my own and writing up the module in a way that it narrates this moment in American history. One of the incredible bonus that arrived with this internship opportunity is the tremendous professional academic support provided by the two professors working with this project. Their feedback is valued in igniting the interest to develop the module and through giving constructive detailed advice to revise and move forward. I am most of the way through with collecting the images writing up the sources for the module leading into the final essay. The project has a double edged sword element to it. The first idea/image was inspired by one of the novels I read with my high school students, Invisible Man by Ralph Ellison and many of the literary references are from my classroom readings. However, in return, the research I had conducted expands on the literature I teach and will be incorporating it in my curriculum. In addition, the work and research around the images and primary sources needed for the module gave a boost to my knowledge regarding copyrights and forced me to learn to look more closely to find them and request to attain them. Interestingly, what the internship highlighted for me is the public element of digital humanities. Whether I create something from available digital sources or review already developed sites, it is impossible to know all the future possibilities they offer for the public — one thing is sure though, it will continue to offer possibilities. Stanford faculty at one point discussed the direction and use of their DH projects and the element missing was the public use, which limits their function and accessibility. They were searching to their theories and applications more public friendly and relevant. I also see the merging of disciplines in DH becoming more common and organic as they inevitably combine and enhance one another. As I move forward with with my own professional development, I hope to gain more practice with DH and will push to use it more organically in my classroom teaching. I would also like to explore opportunities to develop DH courses for online teaching. Through a few emails and two Google Hangout meetings, Jennifer Rosenfeld and Nathan Sleeter from the Education Division of RRCHNM guided me to begin developing a project and helped set up internship goals. I was offered two choices: to finish and edit some of the ongoing projects at Hidden in Plain Sight or create my own module as a project. The site is designed to offer an online course for K–12 teachers that emphasizes an inquiry-based approach to learning about history. It attempts to emulate the way historians analyze evidence through primary sources and facilitates an active approach to studying history. Although editing the already developed courses offered an opportunity to be able to complete my hours with feasable work and finish my internship this spring; after having examined several of the modules, I decided to create my own. It will not only give me a chance to put into practice some of the elements of historical thinking (Wineburg) previously discussed in the DH courses , but it will also allow me to explore a topic and a time period that ties in with my teaching. The modules are organized by time periods, such as 18th century or 20th century, and within the course each module is divided into five parts. One image of a main object. Images for each resource, including the main object. Initially, I was interested in developing a module that focuses on historical connections either to John Steinbeck’s works or to the history of Harlem in connection to Ralph Ellison’s Invisible Man. So, I set out to search for an object as a starting point for the module. I had finished reading Invisible Man with my senior AP class in January and one particular scene came to mind where the main character walks the streets of Harlem, looks at objects in the shops and contemplates their worth and place in relevance to his own identity. Thus, I thought the Nubian slave statue he abhores would work well to begin, however, it did not seem to lend itself to the connections I was hoping to find. Reading through the chapters, I recalled a Smithsonian article published around the time of the opening of the new National Museum of African American History and Culture. 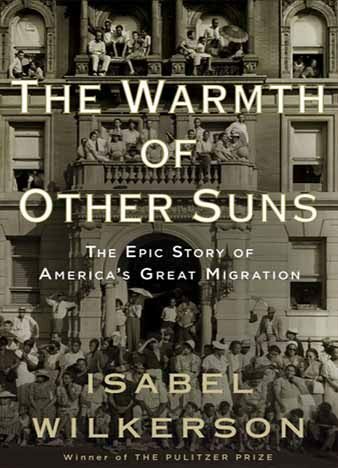 The article, “The Long-Lasting Legacy of the Great Migration” by Isabel Wilkerson tells the scarcely know story of the exhodus from the South. As I continued to search the novel for objects, I remembered a pivotal scene where the main character (who does not have a name) eats baked yam, and recalls the memory and feeling of home and origin. Later in our meeting with Jennifer and Nathan, I relayed these ideas and how I kept coming back to yams as a starting point for the module. They both confirmed that it would be a good main object precicely because its simplicity and for its deep roots in African culture. 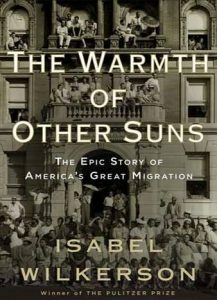 Nathan also recommended a book written by Wilkerson, The Warmth of Other Suns, which gives a detailed survey of the migration and its historical significance. Thus, my project was decided. I wil begin to explore the history of the Yam and its significance in African culture and focus on the great migration from the south leading to Harlem and to other places in the North. I will also read parts of Wilkerson’s book to gain a better understanding of the historical themes and connections relevant to this migration. 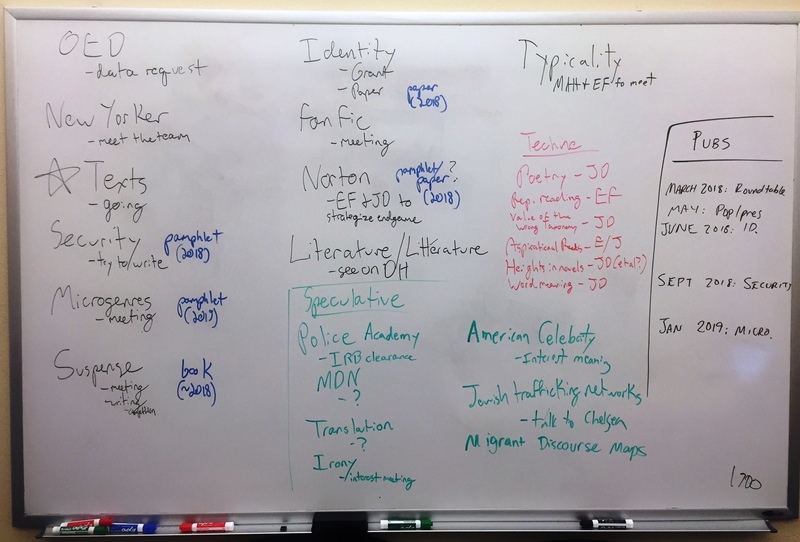 While the evolving New Yorker project (February 13 meeting) seemed like the perfect opportunity to begin the internship and follow the entire development of a DH project in Literature, it seems to be a complex and time consuming endeavour to sort out the different interests and sub genre plans. Thus, at this point, as an intern my opportunity to work on a task in this project has been delayed. However, the leading group of professors involved in other projects suggested to sit in on the Microgenre project, which has been ongoing for some time. 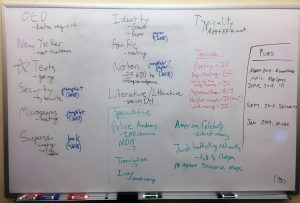 The project explores the “discursive inter-disciplinarity of novels, using machine learning to identify points at which authors incorporate the language and style of other contemporary disciplines into their narratives.” The team is looking for moments in a wide range of novels across genres and time periods to determine the way authors signal the shift between narrative and history, philosophy or natural science. Some of the questions they are hoping answer: “Do these signaling practices change with time or with discipline? Akin to what Bakhtin terms “heteroglossia,” these stylistic shifts indicate not only the historically contingent ways that novels are assembled from heterogeneous discourses, but they also shed light on the practices of disciplinary knowledge itself.” Since the disciplines have exploded in number at the ubiversities after 1870, the project is examining novels and journals between 1880 and 1930. The first meeting I attended on February 14 looked at an extensive spreadsheet containing the disciplinary breakdown of journals found in JSTOR’s database. The goal was to narrow down the number of active journals in each discipline during the target years. Thus, the discussion and on-the-spot quick Internet research yielded some result in the areas of science, literary, religious, phylosophy, and psychology journals. Besides JSTOR’s, Wikipedia’s metadata was also considered in the search. At the end of the meeting, I was asked to research law as a discipline in the period 1880-1930. Specifically, to know the premier journals, among those in the JSTOR holdings, in the field in both the U.S. and the U.K. and research and give a brief, qualitative sense of the field at this time: the top schools, the difficulty of obtaining a degree, the major questions in the field. My research results are contained in the PDF file “Law as a Discipline” and were briefly discussed in the following meeting on February 28 along with the other major journals. During that meeting, duplicate journals were disounted for the reason that they span across multiple genres and could create confusion of data in the reading of the DFA Classifier. The discriminant function analysis (DFA) program was created by Mark Algee-Hewitt. In it, the groups are our various disciplines (anthropology, philosophy, history, etc. ), and they are training and running the classifier on 100-sentence excerpts from the corpus of texts. As J. D. Porter explained to me, often in literary DH classification it is done with words, but they are trying to capture style and avoid “aboutness”, so for the variables they mostly used parts of speech tags instead, plus a few other things such as sentence length, number of clauses, and numbers of named people and places. Therefore, the results are fairly unique, in that the classifier doesn’t know any semantic content. Nonetheless, it performs well above chance, and for some categories remarkably well (e.g., it correctly identified >60% of the passages in the history, novels, and psychology categories, where chance would have gotten ~12% of them right). This seemed abit confusing to me since I have not seen the previous results or have heard much about this tool. The Microgenre Project meeting on March 7 was highly anticipated because Mark promised bring and share the newly run novel chunks and their colorful bar graphs indicating the disciplinary breakdown of genres and hopefuly pointing to shifts within the writing. The meeting concluded with the agreement of sampling about 200 sentence chunks and examining them on a sliding scale. In addition, the already graphed novel chunks will be reviewed by the members of the project and matched with the prediction of the graphs to look for shifts. Could I have access to any of the sheets/graphs/novel chunks? While it was helpful to finally see the actual graphs depicting novel chunks and the interplay of various other disciplines within the writing, in the same time the amount of data was overwhelming to take in withouth the actual reference. I would have liked to go over some of he graphs beforehand to study these elements. I was familiar with most of the novels mentioned in the study, however, I do not have the descriptive list of novels included. Once again, I left the meeting without any particular task to complete. Because of the formally closed nature of the projects, I do not have access to the data or findings of the project before publication. Thus, it seems futile to attend the upcoming meeting on March 15 since I am not able to study the data or provide further research/imput in any part of the project. It has been fascinating to learn about the numerous ways the Literary Lab examines literature and prepares for its Computational Criticism in the field, however, as far as the DH internship is concerned, I feel that I need to search for a new assignment where I am able to participate and learn about the use of tools and strategies applied in the field of Digital Humanities. The discussion revolved around the democratic nature of the projects, the question of graphs and Ngrams analyzing language, and the practicality of it in literary criticism. For instance, the issue of close reading being possible replace or in some ways supplemented by a nonhuman analytical tool is a touchy subject of humanities scholars. While many views and more inquires were raised, the answer were scarce in light of the proposed ideas. As this field continues to evolve, the methodologies of research, developing critical questions, the tools applied, and the emerging criticism are all subject to change and interpretation. In addition, one of the puzzling notions of the crossroad of DH and Literary Studies is the question of where it leads to and what possible answer can we gain from “studying” literature through these tools that haven’t been already considered. An additional missing piece of the puzzle is the interest and connection to the general public, which probes the democratic nature of Literary DH projects and how if at all they may reach beyond the academic realm of readers. As an intern, just beginning to become familiar with the mission and the projects of the Lit. Lab, the event held an impressively involved, intimidatingly intriguing approach to the function of DH in Literary studies. What changed? What didn’t exist? Is there a New Yorker genre? When did photographs come into the publication? On the wall of the conference room, all present and future projects are listed, indicating the phase of each. I will try to attend the Microg enre project meeting to get an idea of the development of a given project and different stages of this “organic” collaboration in the Lab. The Migrant Discourse Project (examining migrations in South America and mapping literature along the way) also intrigued me, however, it does not have a set date for its first meeting, so it might be some time before it even begins. As much as the focus of the Literary Lab is to examine various literature while applying computational criticism to the study of literature, I find an inevitable historical component in the process. In its mission statement, The Smithsonian Learning Lab declares, “The Smithsonian Learning Lab is a major rethinking of how the digital resources from across the Smithsonian’s 19 museums, 9 major research centers, the National Zoo, and more, can be used together, for learning.” It further explains that “The Smithsonian Center for Learning and Digital Access created the Smithsonian Learning Lab to inspire the discovery and creative use of its rich digital materials—more than a million images, recordings, and texts. It is easy to find something of interest because search results display pictures rather than lists. Whether you’ve found what you were looking for or just discovered something new, it’s easy to personalize it. Add your own notes and tags, incorporate discussion questions, and save and share. The Learning Lab makes it simple.” And it is definitely the case whether a teacher is planning to build a collection for a lesson, use an already existing one, or students complete various assignments, build collections, and research. It has been a rewarding experience to view the various collection, learn from their creativity, compare assessments with fellow reviewers, and try to comprehend the enormity of this Digital Archive that provides access to rich digital materials that comprise of more than a million images. I will probably volunteer to review collection at the Lab in the near future. Over the past few weeks of the internship, I have had the opportunity to browse many interesting collections at the Smithsonian Learning Lab. Besides the expected curriculum driven typical history projects exploring immigration, migration, slavery, the depression era, and the wars, more and more collections are shifting perspectives on these topics or investigating new ideas. For instance, one of the Civil War collections focused on reconstructive plastic surgeries that were aiding wounded soldiers in recovery. Surprisingly, there is quite a bit of documentation on the process. In addition, the collection does an amazing job at emphasizing the massive devastation of the war and how people within the limitations of the time expended and advanced medicine. The Lab certainly allows for students to supplement their history textbook knowledge and explore beyond the obvious. First, sort the images by type of art/artist. Teacher should make index card headings for the following categories: Painting/Painter, Textile/Weaver, Clothing/Fashion Designer, Architecture/Architect, Prints/Printmaker, Sculpture/Sculptor, Functional Ceramics/Potter or Ceramist. Sometimes an image may cross categories (painting of a house might be categorized in architecture or painting); either answer would be acceptable if the student can justify why. Second, make an educated guess about culture represented in selected images. Students can “guess and check” with teacher. 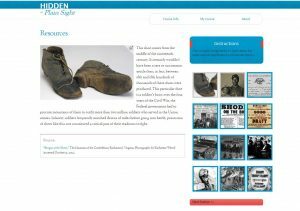 Online research option: students work in pairs to access this collection and click on the info button for an image to learn about the maker, time period, and culture. They can record their findings to help answer the reflection questions below. These types of collection allow students to see the art without actually going to the museum and experience/interact with cultures they may not know much about or understand the elements and importance of their ordinary, but essential moments. One collection, however, changed the direction of my experience. For the first time, I had to flag and report one of the collections, which made me realize how imperative this reviewing process really is. The collection involved Native American traditions and attempted to speak to advocate for their rights, offered commentary on the decline of its cultural values, and more. However, in the process of awareness and criticism, the collection exuded a voice that was borderline derogatory and the images used were inappropriate. Thus, it alerted me about the fact of how these digital opportunities could easily become the avenue for expressions of one-sided criticism and confuse rather than instruct to explore its users. On a side note, being a “virtual intern” seems like a lonely existence, however, our coordinator does send the three of us reviewing the collections encouraging and thankful messages. It seems that we somehow know each other based on the comments given about the collections and the frequency of our visits to the review sheet. 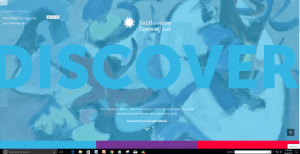 While I was hoping to work on a project during my internship, I’ve come to realize that the opportunity to be a reviewer at the Smithsonian Learning Lab also offers an excellent learning experience in Digital Humanities and it directly relates to my everyday job as a high school English teacher. Its motto: Discover, Create, Share speaks for itself and by searching through its collections, that is exactly what this digital platform offers and allows participants to experience. The initial contact with Tracie Spinale to set up my working schedule, requirements, and expectations was encouraging and certainly made me feel like I was becoming part of a team that supports and reviews the collections created in the Learning Lab. Before I began, I was asked to create a collection in the Lab to understand how it works, which was a relatively easy assignment, enjoyable, and useful. I created a lesson for my juniors, which connected directly to our unit we were studying at the time. The project is titled: Stories of the American Dream. In our brief discussions, Tracie also recommended collections and items for me to review to peek my interest regarding materials I may use for teaching. The Learning Lab will be a new tool I am going to use in my instructions. Each time I review collections, I get to have an insight into other teachers’, professors’, or students’ creations in connection to history, narrative, art, and many more inspiring ways to view, interpret, and teach humanities. For instance, the collection on Decades of Transformation: Bridging the 1920’s and 30’s offers a great way to have students think critically and analytically about the times surrounding The Great Gatsby and Of Mice and Men as they look through artifacts, photos, and paintings. Many of the collections and lessons are an eye-opener to new ideas and strategies to understand, examine, and explore the connections between all of the disciplines in humanities. So far, it has been an interesting journey to review fellow educators’ work in the humanities. Hearing about other students’ project examples was helpful in several ways. Firs, they presented a good variety of projects, which allowed me to focus my own ideas. I could compare my own goals and topics and see how broad or narrow they are, what direction I am heading towards, and what I want my students to accomplish by the end of the unit. Erin Bush’s realization of student may not know how to read trials made me rethink, what is it that I will assume my students understand, but in reality, they do not have the practical knowledge. Also, it was iterated in nearly all project interviews how important it is for teachers to star with something they are interested in or know a lot about. It helps pass on the excitement and does communicate the importance of the project to students, which will hopefully transfer during the course. Nate Sleeter pointed out the importance of modeling the process of research and historical thinking, which in turn will result in students approaching their project as historians. I think that the greatest revelation for me came from Celeste and Jeri’s interview because they reminded me of writing. I am planning on combining AP English Language and Composition and AP US History objectives and what better way to do it then expecting students to write and think historically. Finally, in one way or another all interviews emphasized what Maura Seale expressed “Making it cohesive and coherent and doable is the biggest challenge and the most important thing because if you try to be too broad you end up saying nothing of substance.” I need to narrow the focus of the historical questions I want students to be able to consider and the learning outcomes. Thus the questions I need to be able to answer are: What do I want students to read, view or listen to? How are they going to respond to them? What sort of writing will take place? What will be the final project they will accomplish? For my final project, I will create an Omeka site to help students consider multiple perspectives of pilots’ experiences in WWII. While examining various sources, students will be asked to think about audiences, purpose, language, and the argument presented to ask questions and analyze historical content and context. The end product will be twofold: For the first part, I would like to have students reflect on how the variety perspectives on WWII pilots informed their understanding of the war or created a fresh view of what it meant to become a pilot and go to war. How did the rhetoric of those varying perspectives affect their interpretation? For the second part, students will create a new wikipedia page for the local flight school that existed in King City during WWII and reflect on the process.